Well, hello welcome to the B’Sue Boutiques Build a Line Challenge 2016 blog hop #1. I hope everyone is having a blast checking out all of the participants pages. 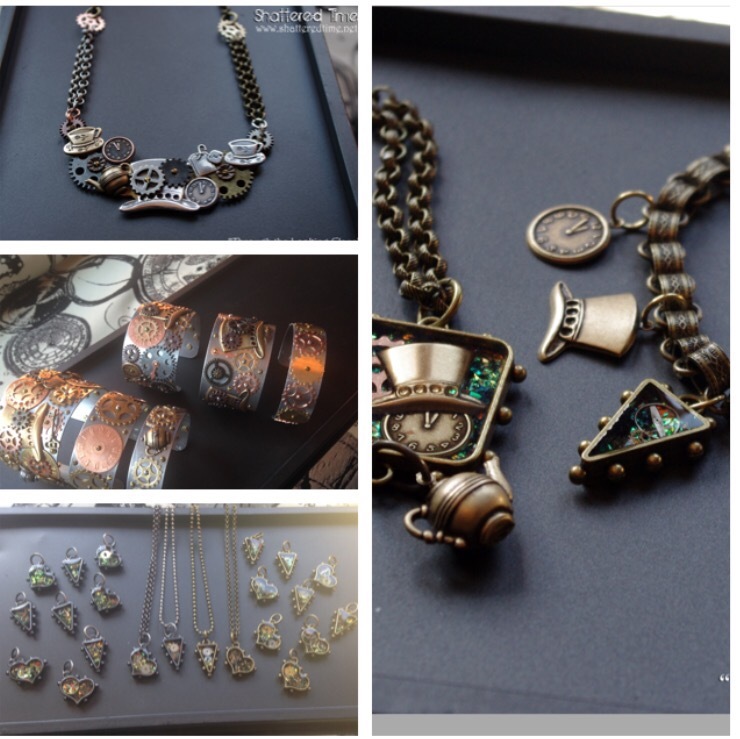 My name is Erin and this is my Shattered Time Jewelry blog. I’m a repeat participant this year because last year was such a wonderful experience and I would not pass up the chance to do it all again. Here’s my line from last year. It was called “Through the Looking Glass” my own take on a steampunk/ industrial Alice in wonderland if you will. This year I was inspired by a piece I made for a monthly challenge over at the B’sue Creative group ( on Facebook, that’s where all the fun is). 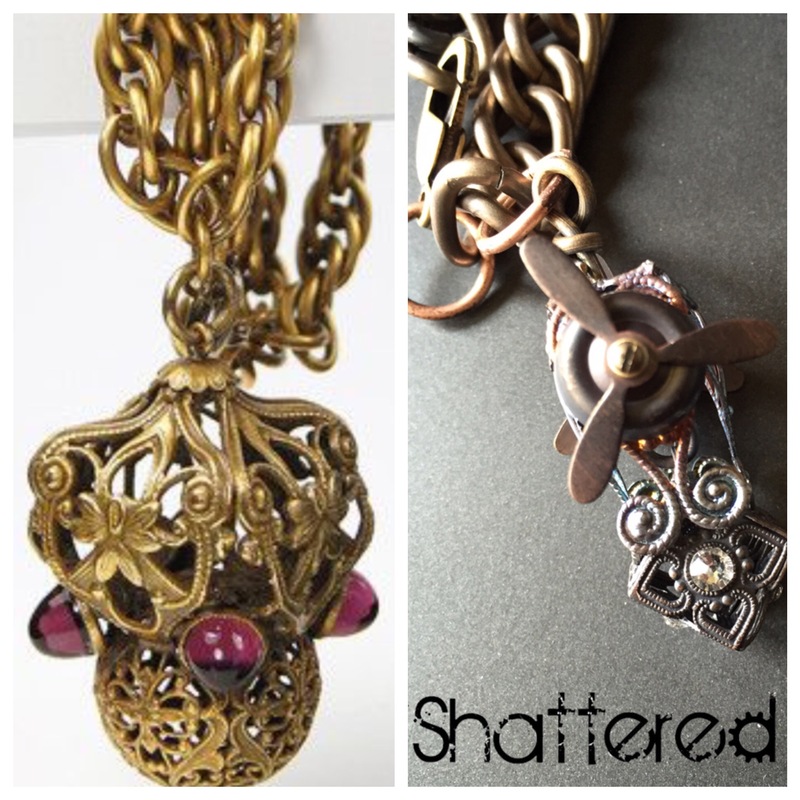 The challenge was to make a piece that was inspired by a piece of vintage jewelry. 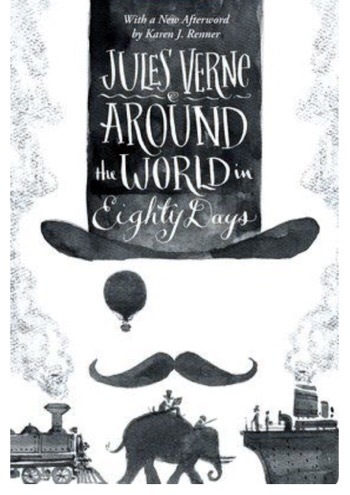 So my theme this year is “around the world in 80 days” …. Shattered Time style that is. 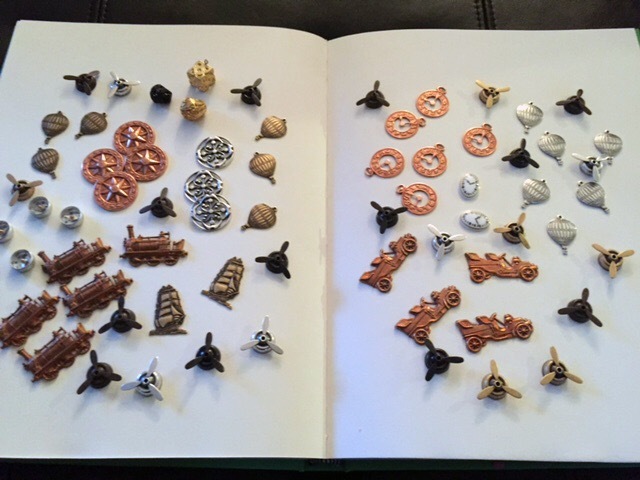 So I began to gather my parts and pieces. All of these are going to be parts to build this line. Not exactly sure where it is all going just yet but as all of us work through the next few months I hope some awesome things develop! Thanks for stopping or “hopping” by to check out Shattered Time and I hope to see you all again soon! Please visit all the other great creative people in this group by following the list below! I’m off to start my adventure! This entry was posted in Uncategorized and tagged b'sue, blog, boutiques, build, buildaline, challenge, handmade, hop, jewelry, jules, line, literature, punk, shattered, steam, steampunk, time, verne on January 28, 2016 by shatteredtimejewelry.